The CW has announced mid-season premiere dates for new and returning shows, starting January 1 2018. Among the newcomers is Black Lightning, a new superhero series starring Cress Williams as Jefferson Pierce, a man wrestling with a secret identity. As the father of two daughters and principal of a charter high school that also serves as a safe haven for young people in a New Orleans neighborhood overrun by gang violence, he is a hero to his community. However, nine years ago, Pierce was a hero of a different sort. Gifted with the superhuman power to harness and control electricity, he used those powers to keep his hometown streets safe as the masked vigilante Black Lightning. After too many nights with his life on the line, and seeing the effects of the damage and loss that his alter ego was inflicting on his family, he left his Super Hero days behind and settled into being a principal and a dad. Choosing to help his city without using his superpowers, he watched his daughters Anissa (Nafessa Williams) and Jennifer (China Anne McClain) grow into strong young women, even though his marriage to their mother, Lynn (Christine Adams), suffered. Almost a decade later, Pierce’s crime-fighting days are long behind him…or so he thought. But with crime and corruption spreading like wildfire, and those he cares about in the crosshairs of the menacing local gang The One Hundred, Black Lightning returns — to save not only his family, but also the soul of his community. Black Lightning will premiere Tuesday January 16, at 9 pm, following fellow DC series The Flash. Legends of Tomorrow (currently occupying the time slot) will will be bumped to a new night and time, as yet to be decided by the network. 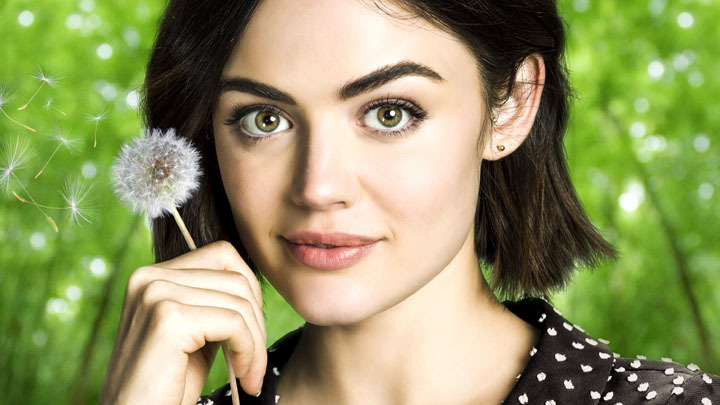 Meanwhile, the coming of age Lucy Hale-starrer Life Sentence is also expected to air mid-season in an as yet undecided time slot. Life Sentence follows Stella (Hale), a girl who has spent the last eight years living like she was dying (because she was). Just like the “manic pixie dream girl” heroines in her favorite sappy cancer movies, Stella traveled the world, faced her darkest fears and found true love on a whirlwind trip to Paris. But when Stella finds out that her cancer has been cured, she is suddenly forced to face the long-term consequences of the “live in the moment” decisions she made, including marrying a total stranger. And if that’s not enough, she also finds out that her “perfect family” isn’t so perfect after all. Turns out, because she was dying, everyone in her life hid their problems from her. But, now that she’s well, all bets are off.